Check out ghost-like octopus dubbed Casper that could be new species. The ghost-like octopod that is almost certainly a new species is seen in an image that the NOAA Office of Ocean Exploration and Research published online on March 2, 2016. 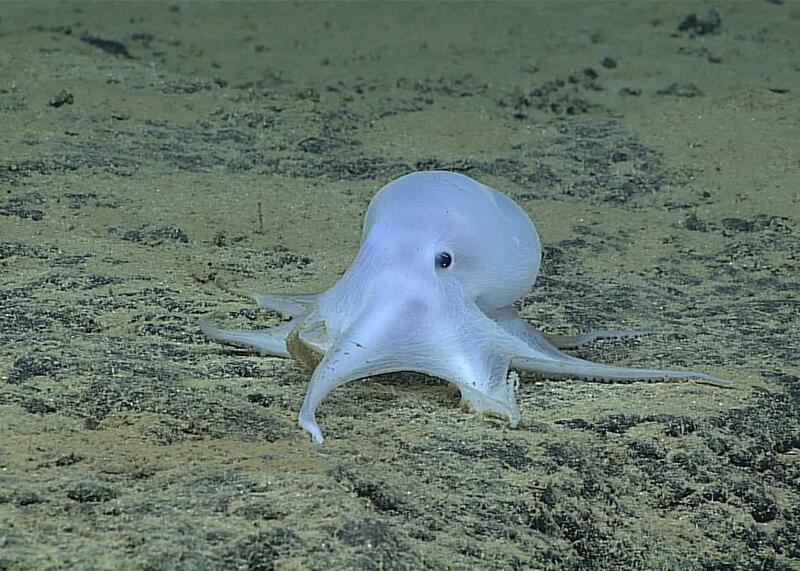 Scientists are excited about the possibility that they seem to have discovered a new species of octopus while surveying the depths of the Pacific Ocean near Hawaii. The octopus, which was located at a depth of around 2.5 miles, owes its ghost-like appearance to a lack of pigment cells. The octopod, which was quickly nicknamed Casper after the friendly cartoon ghost, “is almost certainly an undescribed species and may not belong to any described genus,” wrote Michael Vecchione of the National Oceanic and Atmospheric Administration. Casper is an incirrate octopod, meaning it does not have fins, and this is the first time an incirrate was seen so deep in the ocean. Vecchione also pointed out the octopod was unusual because its suckers were in one row on each arm, rather than two. Casper appears to be quite gelatinous and does not seem “very muscular,” which makes sense when you consider there’s such little food at the bottom of the ocean and building muscles takes energy. Still, its tiny eyes do seem to be functional. “When the sub got up close to it, it started climbing away, either reacting to lights of the sub or vibrations of the water,” Vecchione said.